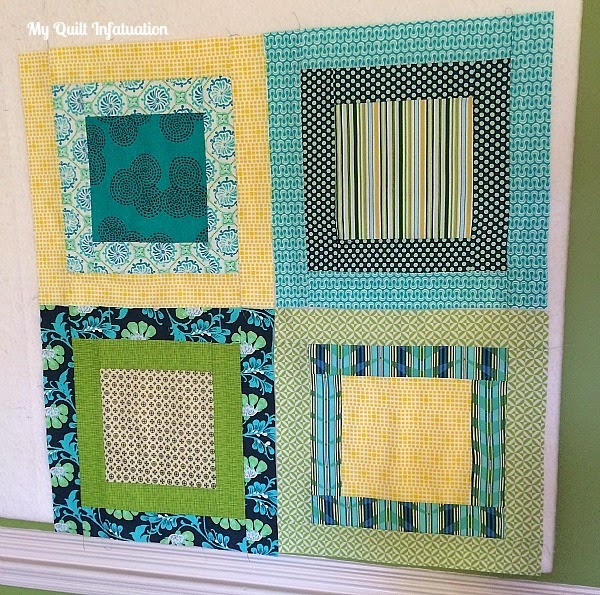 My Quilt Infatuation: Party Time! Welcome to Thursday, y'all! For those of you on the east coast, I hope you're at home out of the snow, and getting plenty of sewing time! Here in west TN, we almost hit 60 degrees today. It didn't give me a day at home, but I'll take it! After giving it some thought, I decided to make another Stacked Squares quilt. I have another fun pattern in the works, but I wanted to make this one first. All of the blocks are put together, just waiting to be sliced, shuffled and sewn into a top. Here are just a few of my favorite blocks, so you can get an idea of the colors I'm using. 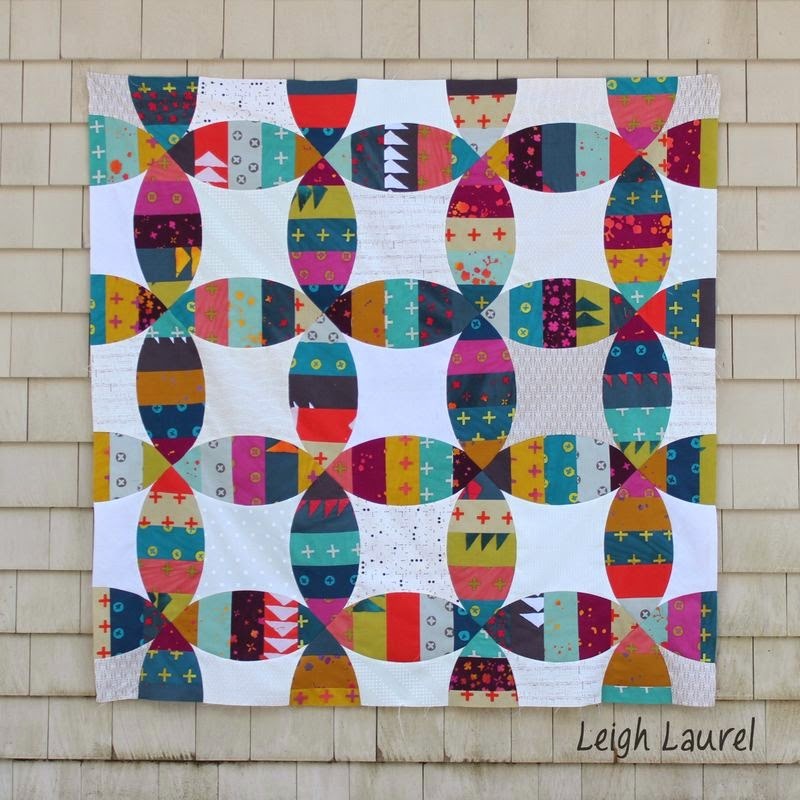 Leigh Laurel Studios linked up this gorgeous double wedding ring quilt. I love all of the bright color! and this Sugar Stars quilt by Tanya Quilts in CO looks amazing with the navy background! Seriously, y'all rock! Time to bring it for this week's party! All of those quilts are beautiful!! Your blocks are also. I love those colors! Wonderful fabrics for your stacked squares Kelly! You sure picked beauties from last week! The cool thing about your blocks is the combination of fabrics. I have never mixed Amy Butler and Denyse Schmidt and Kate Spain, but it completely works. Nearly 60 degrees? Boooo! We got 36 inches of snow yesterday! Love the colors in your stacked squares. Beautiful projects, so much inspiration! Thank you for featuring my Postage Stamp quilt! So glad it is in the bag so-to-speak! I really liked your stacked squares quilt and this one looks like it will be fun too. Might have to put it on my to do list. So many beautiful projects to look at today makes it difficult to get off the computer. I have also joined in with my new stitchery BOM project. It's been a while since I've done hand embroidery and I am again addicted to needle and thread. 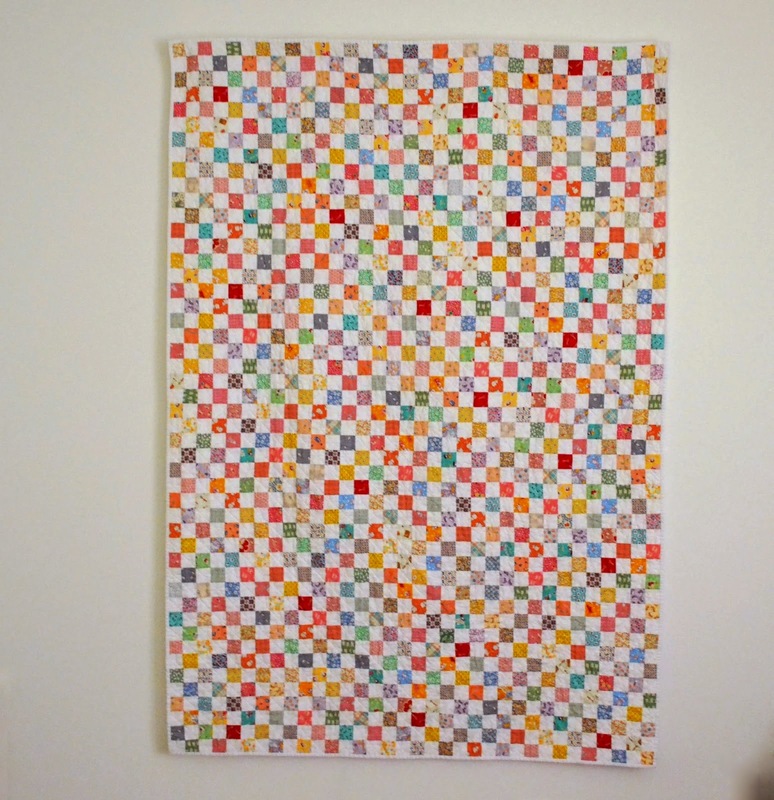 Pretty colors on your quilts. Thank you for doing the link up, spending too much time looking at new projects I now want to do!